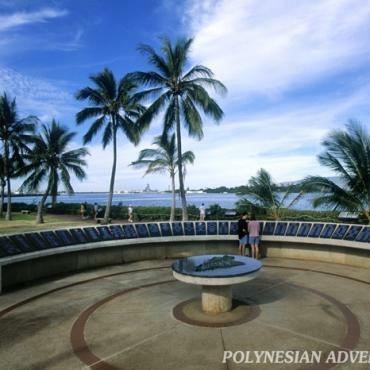 Your visit to the Arizona Memorial and Pearl Harbor will transport you to the morning of December 7, 1941 as you re-live the moment that thrust America into World War II. 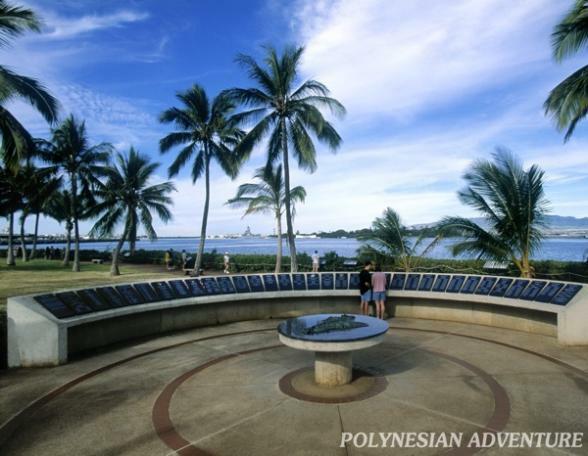 At the Arizona Memorial Visitor Center, Hawaii's number one visitor attraction, you will view the film of the attack and browse through the historic artifacts on display. You will ride the Navy launch across Pearl Harbor to board the Arizona Memorial. Your journey continues with a visit to Punchbowl National Cemetery of the Pacific and Courts of the Missing (drive through). The conclusion of your tour is an overview of Honolulu's historic district which includes`Iolani Palace, the only royal palace on American soil, Kawaiahao Church, the State Library and Archives, the statue of King Kamehameha, Honolulu Hale and the Mission Houses Museum. Complimentary hotel pick up and return provided from most Waikiki hotels. Tour leaves Waikiki 9:00-9:15 am and returns approximately 2:30-3:00 pm.